Achieving success by helping others reach their goals: Homes, Land, Investments, Commercial. This first floor corner villa comes fully furnished and features sun room with views overlooking Crooked Oaks golf course, living area with fireplace, and updated bathrooms. The beach and Beach Club are just a short bike ride away. Quaint Live Oak villas have private swimming pool for the residents. Villa has great rental history. Contribution to capital within PUD upon is 1/2 if 1% of sale price. 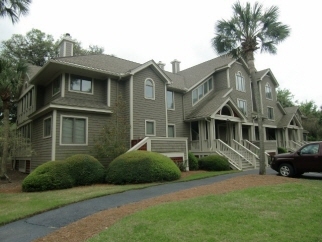 Purchase requires membership to the Seabrook Island Club. If square footage is important - MEASURE!! Interior Features This first floor corner villa comes fully furnished and features sun room with views overlooking Crooked Oaks golf course, living area with fireplace, and updated bathrooms. The beach and Beach Club are just a short bike ride away. Villa has great rental history. Contribution to capital within PUD upon is 1/2 if 1% of sale price. Purchase requires membership to the Seabrook Island Club. Additional Features and Amenities Private swimming pool for residents of Live Oak Villa.